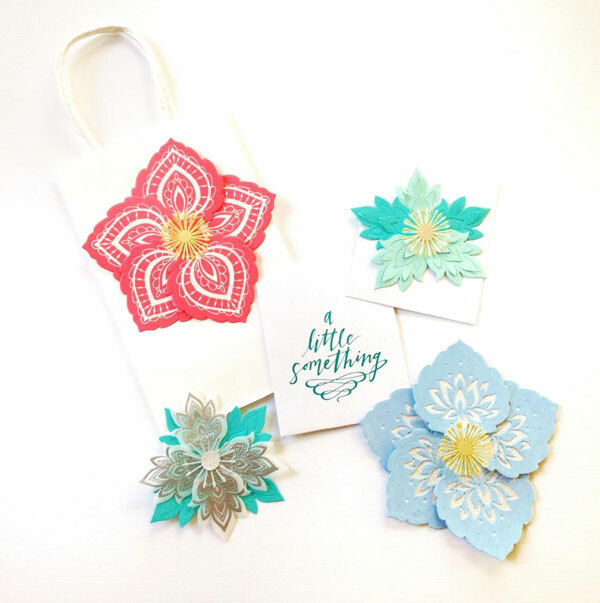 The set comes with die cuts and coordinating stamps to mix and match. 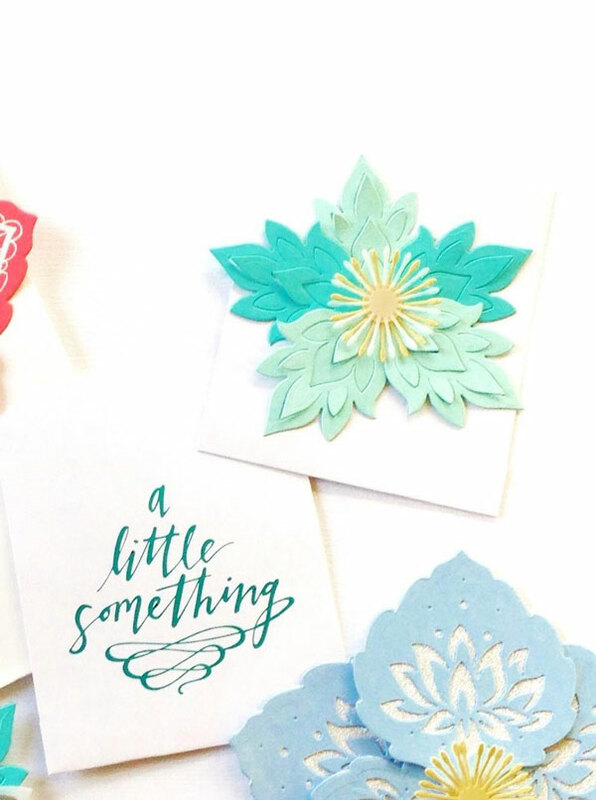 I took an afternoon and just cut out a bunch of the die cuts in different colors and paper types and came up with some really pretty decorations. 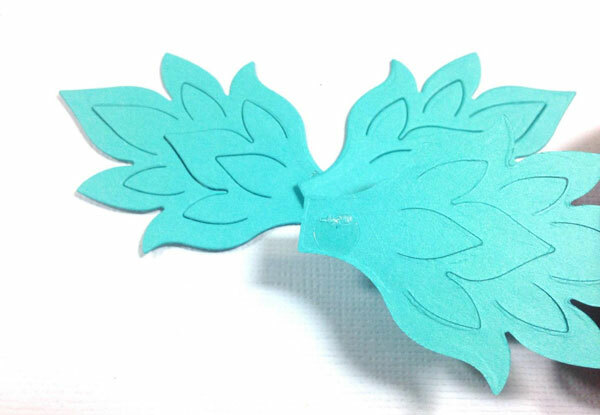 I love the smaller flower petal die because it has a pretty inner piece that cuts little pieces into the outer petal. 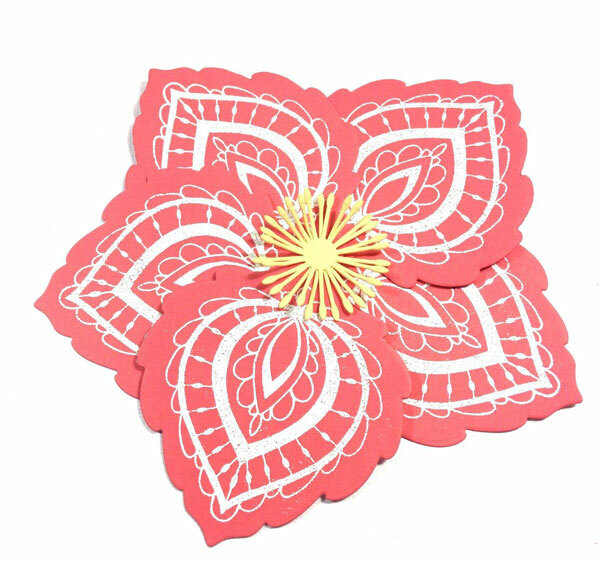 I used some glue dots to adhere a few of the petals to create a flower. 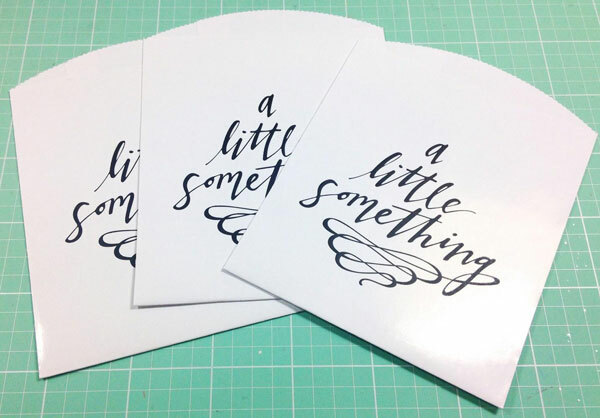 I did one with just different colors of cardstock and the other more intricate with vellum and heat embossing using the stamp. 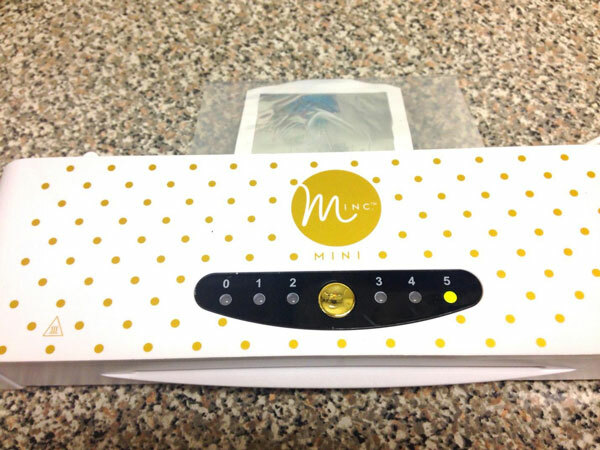 I added the flowers to these cute little Heidi Swapp Minc Mini Treat Bags. 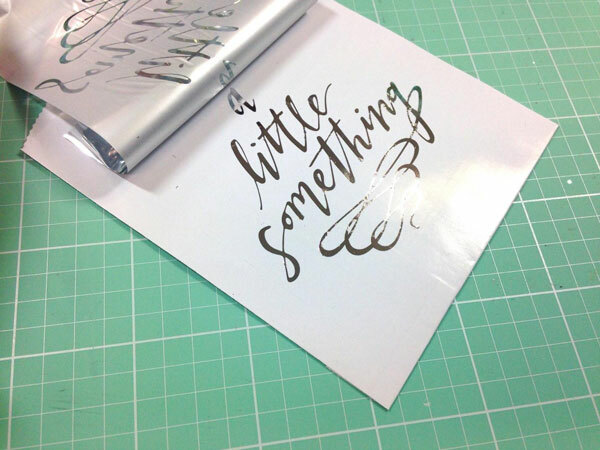 …to create a foiled sentiment on the front of the bag. 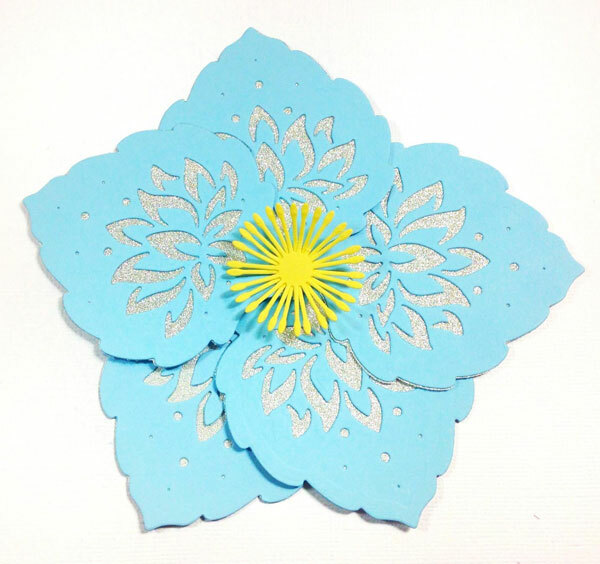 I tried it with aqua foil too and it looked really great with the flower. 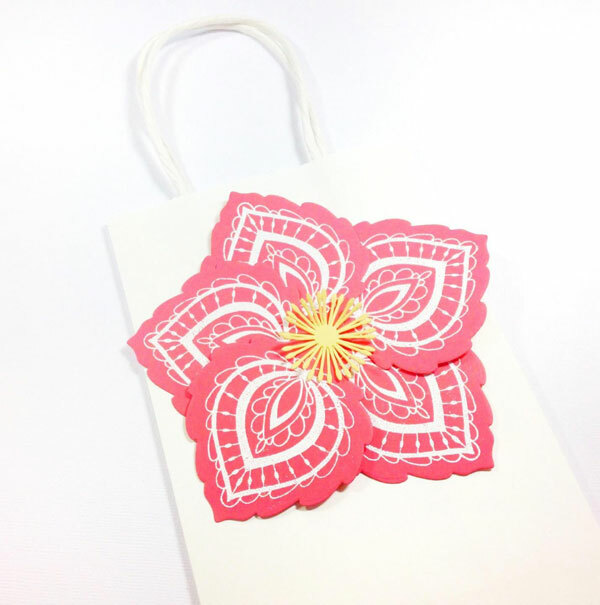 I used the coordinating stamp with the larger petals and some coral cardstock to create this large bloom. 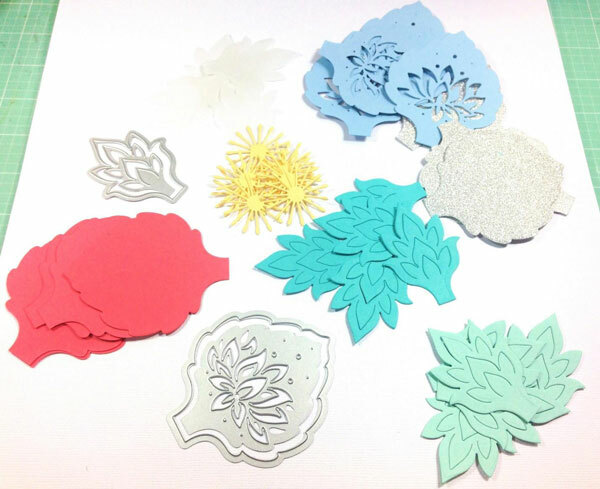 I did some heat embossing with white powder to really make the flower “pop”. I dressed up a plain, white gift bag just by adding it to the front. 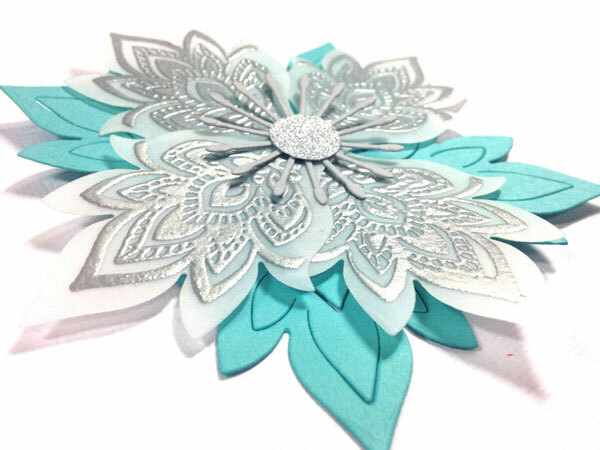 Here’s another option where I die cut into the petals and added some silver glitter paper underneath. 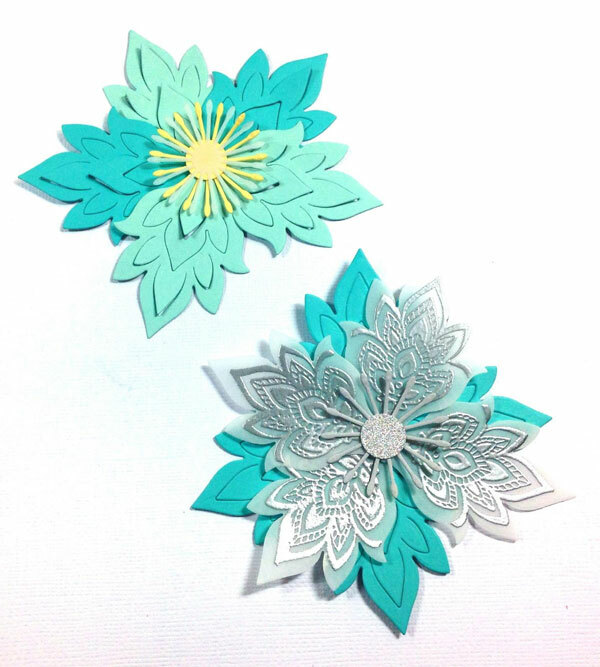 I love all the options you have creating these fun paper flowers. 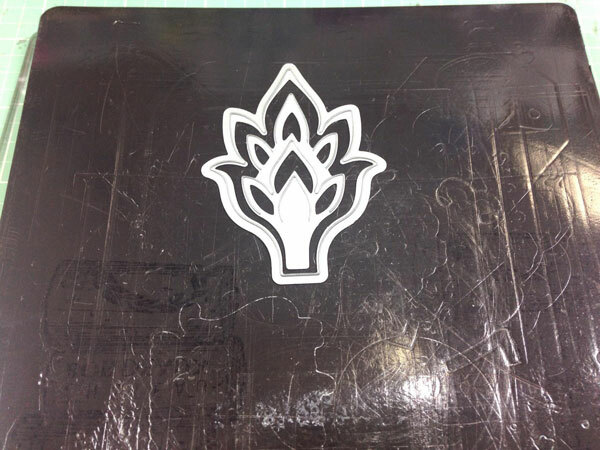 They would look really pretty on top of gift packages too! Thanks so much for joining me today! Totally awesome! I have seen this set quite a bit but never with such beautiful samples! I definitely need to order this set as soon as my finances allow! TFS!